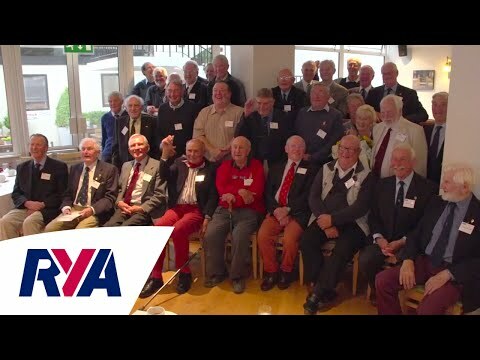 50 YEAR MEMBERS: The RYA has held a special reception to celebrate the continued support of those who have held RYA membership for 50 years or more at the Southampton Boat Show. In the first event of its kind, of the 177 members who have held RYA membership for 50 years or more, 45 made the trip to the show for the reception. Guests enjoyed an afternoon tea and mingled with members of RYA staff including RYA CEO Sarah Treseder and Chairman Stacey Clark. A number of special presentations where also made by RYA CEO Sarah Treseder including to Cliff Norbury, the longest serving member at the event with some 66 years of continuous membership. Each of the members were presented with a specially designed 50 year membership pin and certificate to mark the special occasion. Anyone who was unable to attend the event will be sent their pin and certificate in the coming weeks.